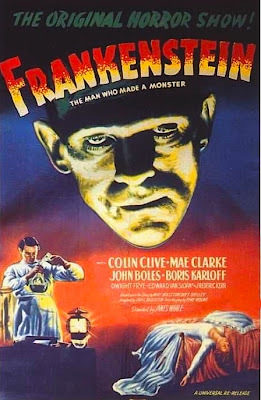 Bookride: Frankenstein: or the Modern Prometheus. Mary Shelley 1818. Frankenstein: or the Modern Prometheus. 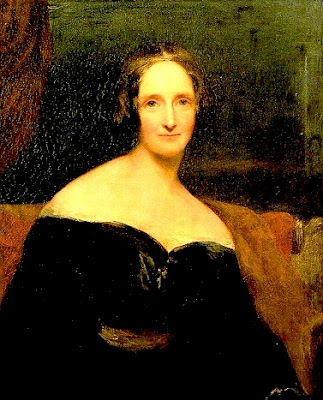 Mary Shelley 1818. Mary Shelley. FRANKENSTEIN: OR THE MODERN PROMETHEUS. 3 Volumes. Lackington, Hughes, Harding, Macor and Jones. London 1818. VALUE? It has recently made as much as $120K in auction and a remarkable 'superlatively fine' copy 1818 three decker can be found on the web for the price of a footballer's Bentley. God's copy. Talking of Bentley, the one vol 3rd edition and first illustrated from the publisher Bentley (1831) is a nice book to find and again not rarissimo ( copies seem to go for as much as $15K.) 16 copies of the 1818 first have shown up in auction in the last 30 years making from $1500 to $120,000 with one copy making $85000 + auctioneer's commission in original publisher's boards as far back as 1991. Results have not followed the perfect financial upward curve as such books as "Origin of Species" and "Wealth of Nations''- the market in horror being a little more quirky. My grandad died recently and left me a copy of the 1st edition. he kept it a secret that he had a copy. anyone want to make me an offer. I recently found a solitary volume one of the original three volume first edition, in not great condition, so i guess you'd value it in the low tens of thousands, BUT - it i signed by Mary Shelley, and furthermore it is signed TO Lord Byron.